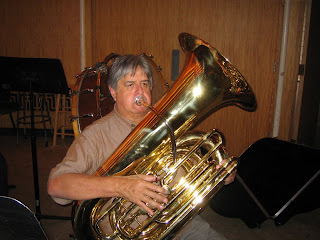 New W. Nirschl J-700 Tuba. To see pictures of the proto-type in Walter's shop click the "Geretsried" link at the right. To see the J-700 compared to some historical tubas, click "York Lineage". Alex Cauthen of the Dallas Wind Symphony visited at TMEA. 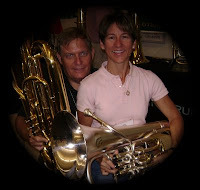 Alex plays a Nirschl tuba and his wife, Susan Thompson plays a Nirschl Euphonium! Piston valves in modern brass instruments are made primarily of three materials, Monel metal with brass ports (un-plated), Nickel Plated Nickel Silver with brass ports (plated), or Stainless Steel with brass ports (un-plated). Monel has 65% nickel in it. Nickel plate has 100% nickel on it. Stainless Steel has 18% chrome and 8% nickel in it. Arguments for each can be made depending on criteria used. It is important to identify the criteria before making a claim as to which material is superior. A claim is frequently made for Monel as superior to Nickel Plate claiming that Monel does not wear as much as Nickel Plate. All valves wear. If they did not they could not be honed and lapped to the fine tolerances needed. In truth, Monel does not “show” wear like Nickel Plate because there is no plating to wear off exposing the areas of wear. Typically when lapping a valve, lapping compound imbeds in the softer material (the brass casing) and cuts the harder material, the piston. Dirt, it could be argued, can act as a lapping compound. This would imply that whether Monel, Nickel Plate or Stainless Steel, valve wear is primarily on the piston itself. That does not mean there cannot be wear on the casings too. Nonetheless, what many people call wear is, in fact, simply visible wear as seen only on plated valves when the plating wears off. This is not the whole story. The primary factors in wear are cleanliness and lubrication. Coefficient of Friction and Oil Retention Whether sliding friction or static friction, the ‘slipperiness’ of the piston is often cited as a criteria for superior valves. A case can be made that Nickel Plate is best when this is the main issue. However, the slipperiness of the material also implicates it as worst for oil retention. In fact chrome plated pistons (not currently popular) are even slipperier but must have pronounced cross hatching from lapping to retain oil. In practice, nickel plated valves are frequently not hand-lapped to the casing making them less tight and canceling any benefit from reduced friction. Additionally, Nickel Plated valves of necessity have nickel plating inside the ports which alters the acoustical properties. The arguments change in the presence of different lubricants. Resistance to corrosion and susceptibility to electrolytic reaction with the valve casing can be a significant factor for players with highly acidic or saline body chemistry. Greenish or brown build-up is not uncommon on Monel valves. This is due to an electrolytic reaction between the piston and the casing. The discoloration is actually brass from the casing itself as it leaches on to the piston. Nickel plated valves and stainless steel valves are less susceptible to this reaction. Thermal expansion is not frequently considered when addressing the merits of valve material. 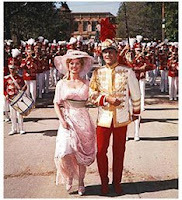 Whether a piston expands at the same rate as the casing can be a factor especially in cold weather marching bands. Although tensile strength is sometimes cited as a consideration, unless poking a nail into the piston or rough use when removed from the casing the instrument is contemplated, this is usually not an issue. While the chart below cannot be considered a formula for comparison, it does rank the materials on the specific criteria. E.g. If your criteria is coefficient of dry sliding friction, Nickel Plate is best. If your criteria are visible wear or flaking plating, Monel and Stainless are preferred over Nickel Plate. If preserving the acoustics of the continuous brass tube are the criteria, Monel and Stainless are preferable to any plating. Your needs may emphasize one criteria more heavily than another. If considering trouble-free performance, stainless steel has the edge. If taking all factors into consideration, Stainless Steel will serve best in most situations. When we test brass instrument tuning at W. Nirschl we play loud. 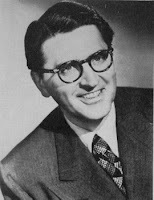 Not to deny that statement but having had the great fortune to perform as an extra with The Cleveland Orchestra and the Metropolitan Opera Orchestra, let me say that one reason a professional orchestra sounds as soft as it does in a pianissimo is because it is so very loud in a fortissimo. 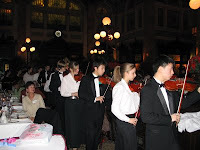 And the fortissimo is played with a good quality sound. It is partly the contrast that makes a pianissimo sound so soft. So one reason to test loud is because it is a legitimate dynamic. Another reason to test loud is because it is much more difficult to bend a pitch at fortissimo. It is much easier to bend a pitch at pianissimo. If a player is going to play with dynamic contrast, he must tune his instrument where it centers in a fortissimo and train himself to maintain that pitch as he makes a diminuendo. Another technique I use in testing is to slur up to a note; look at the tuner; and then slur down to the not; look at the tuner. If a note has a wide ‘slot’ or wiggle room, it is likely to be lower when approached from above ad higher when approached from below. The wider the approach, the larger the difference is likely to be. It is important to test softly for valve or slide action, noise etc. But for finding the center of the pitch, nothing compares to loud. We also test the instruments with a mechanical device to find leaks. If an instrument leaks it is likely to negatively impact the extremes of range. 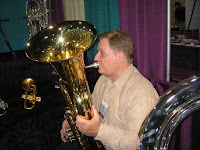 Our brass technicians are accomplished brass players with average range. 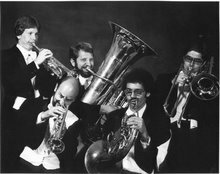 Although I have not played professionally for over 25 years (due to what is often referred to as focal dystonia) I have been blessed with the ability to play extremely high and low on all the brass instruments. I occasionally get called to the brass room to confirm the playability of an instrument. Those that don’t play, don’t get shipped. 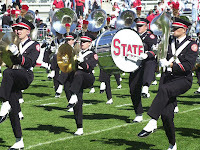 Trombone slides are tested in playing position. I know of no better test of a trombone slide than to put it in playing position and let the slide fall. Playing position is a downward tilt of the slide of 11 to 25 degrees and the upper tube leaning clockwise 30 to 60 degrees from vertical. I know that some people test slides in a vertical position, some measure and I’m sure there are other tests as well. We use playing position because it is the only test that tests the bearing surfaces that are actually used in performance. We test dry and occasionally spot check with cream and water. We sometimes use Trombotine, sometimes slide-o-mix, sometimes rapid comfort and sometimes Brylcream. We know of players that use Pledge furniture polish and others who use Cold Cream or Dry Skin Cream. We do not use slide oil. I know that student instruments are routinely lubricated with oil as a logistical compromise. It does not work well. 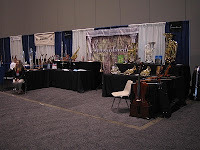 Manufacturers of student trombones have tried for many years to find an alternative. Some have even packaged a mixture of cream and water as an oil substitute. That mixture proves to be an even bigger problem because students do not clean the mixture off daily leaving it to ‘cake’ as it dries out. 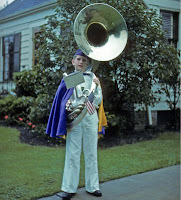 Trombone players divide into camps or preferences when it comes to slide lubrication. But it is universally accepted that a cream of one type or another, combined with water spray continues to be state-of-the-art. See our article(video) on slide cleaning and lubrication.